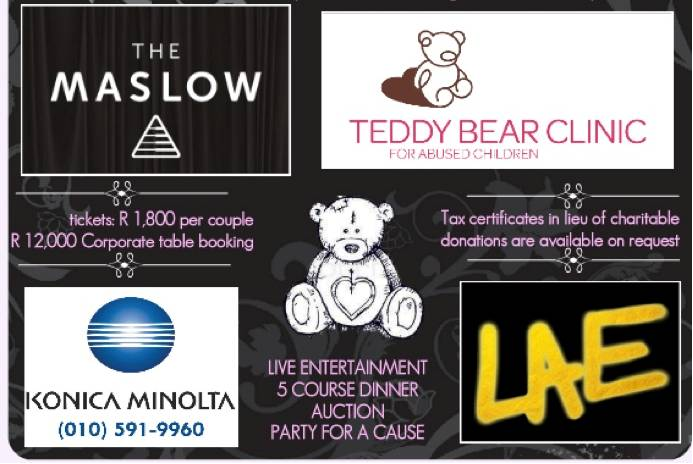 The Teddy Bear Clinic for Abused Children will be having a Spring Ball on the 28th September at The Maslow in Sandton. 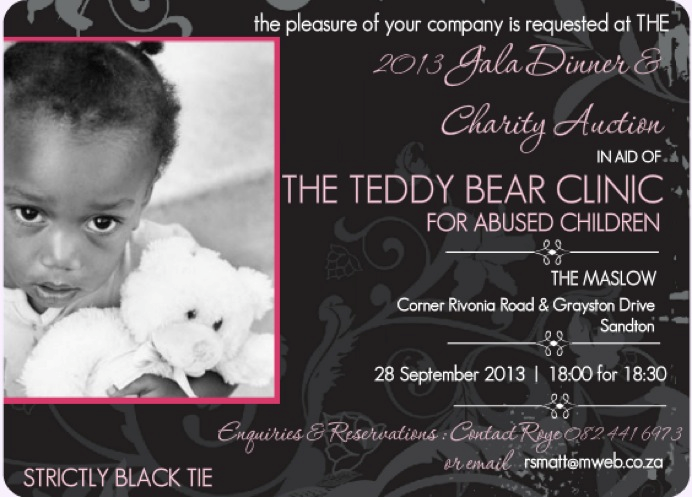 This will be a prestigious Ball to raise much needed funds to assist Abused Children through Court preparation. The cost of taking a Child through this process is R 716 so the funds raised from this ball will mean that 400 children will have access to this service. The aim is to raise R 300 000. Last year, TTBC assisted 495 children in Gauteng through Court preparation. As an adult, appearing in court is a traumatic experience; imagine what it is like for our children! ← For those who love cooking…..